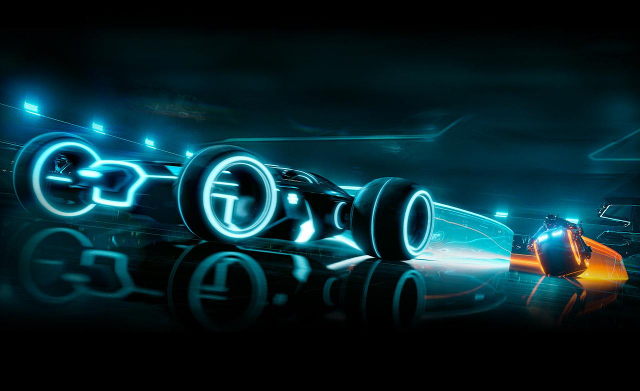 Light Runner from “Tron: Legacy” is a vehicle used by programs on the Grid for transportation. It is similar to a Light Cycle, however it can carry two passengers, has four wheels and has the unique ability to drive off the Grid under its own power. When driving ‘off-grid’ the Light Runner adapts to the rougher terrain by extending small studs from its tires for better traction, and adjusting its suspension for better ground clearance and shock absorption.